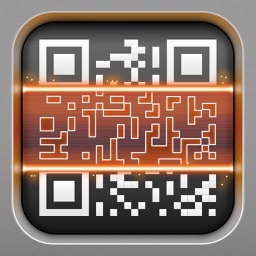 QR reader is the best and fastest free QR code/ barcode scanner & QR code creator for iPhone. 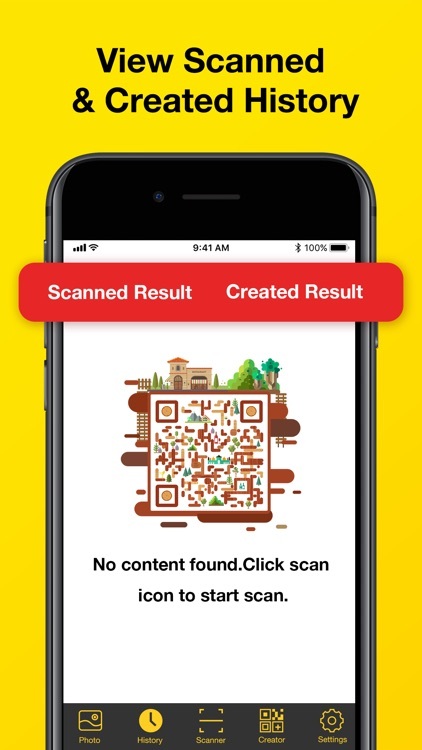 By using your phone's camera, QR reader will automatically scan and recognize the information of QR code or barcode and supports all major barcode and QR code formats. 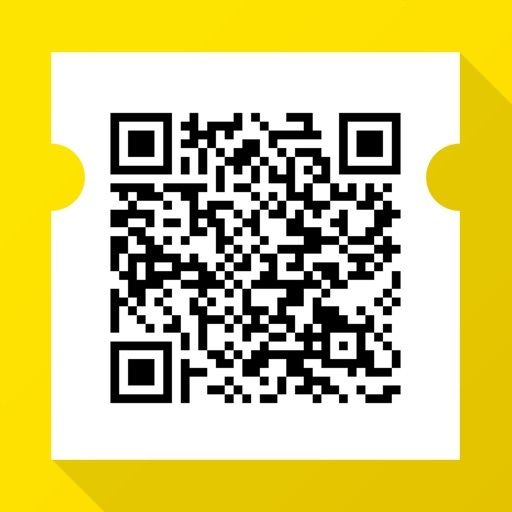 With QR Reader app, you can also create & share unlimited QR codes anytime as you want. Our QR code reader and barcode scanner can automatically detect and scan any code without press any buttons. 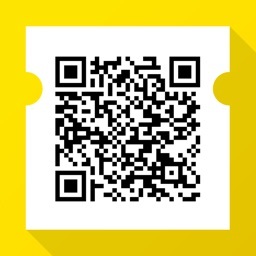 You can also scan the QR code or barcode in the image gallery. 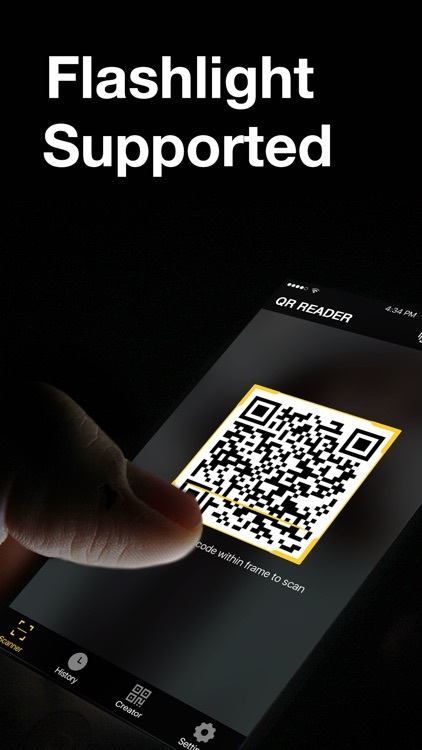 If you are in a low-light environment, the flashlight support you to scan and read QR code and barcode. 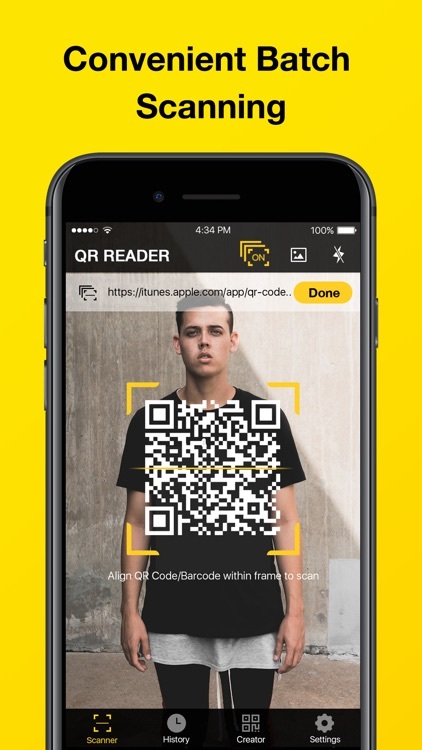 QR Reader app helps you creating & sharing unlimited QR codes anytime in multiple formats, Weblink, text, vcard, phone number,email adress, SMS, WIFI, Geo Location, Calendar,etc. 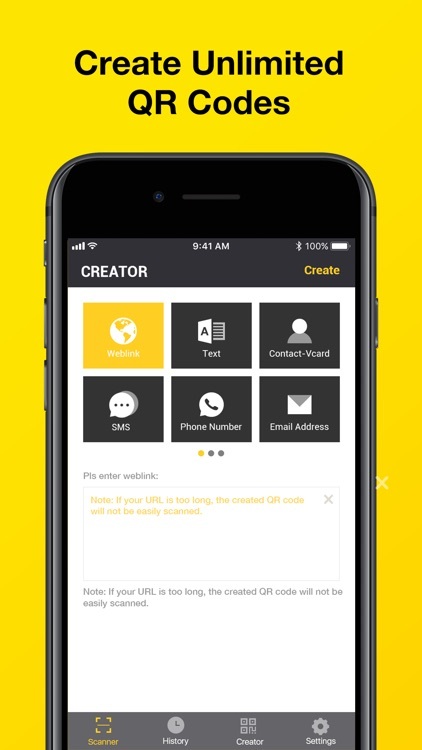 By inputting the information and tap "create" button, you can create your own QR code ASAP in few steps. 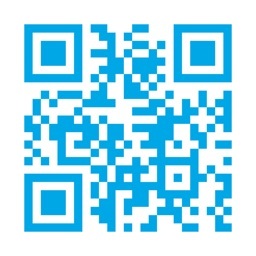 If you have a lot of QR code / Bar code need to be scanned, we provide a convenient and fast batch scanning function. 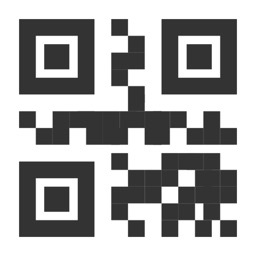 You can use this function to scan your QR code in batches. After all the scans are completed, you can check them together. You can use this function to increase the scanning speed. And you can use the batch scan feature for free for three days. Let’s try it! 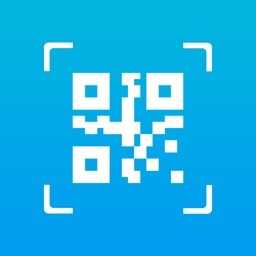 When finding a QR code or barcode, if you don’t like auto focus, you can choose to use touch focus in setting. When you scan successfully, there are two ways to remind you to choose: beep and vibrate. You can get six results after scanning, Weblink, text, WiFi, contact, ISBN, and product. If the scanned result is a Website link, you can click the URL to jump to the webpage. If the code just contains text, you will immediately see it. 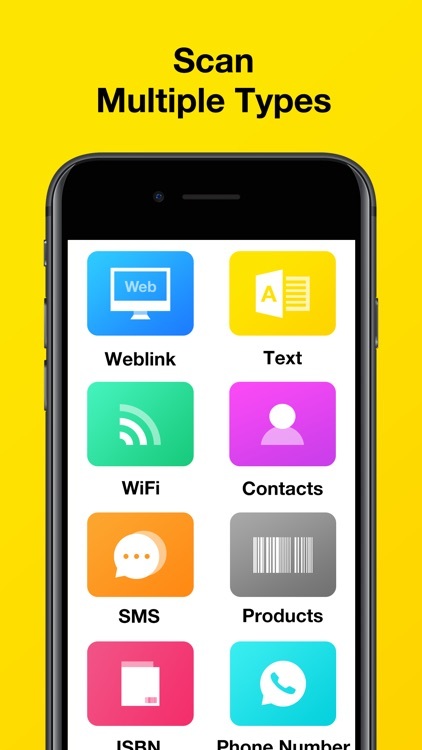 If the QR code is a wifi QR code, this app will automatically connect to wifi hotspot without password. If the scanned result is a product, you can choose search country to get some detail information about the product. And you can also compare prices with online prices to save money. You can set a separate secure password for your own QR Code Reader app to protect your personal app security. Set a variety of colors for QR code and play with your colorful QR code. 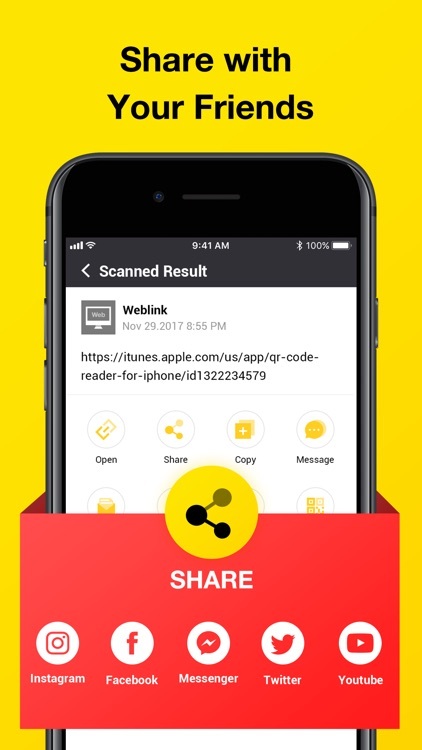 There is no doubt that all results of qr code reader and scanner can be shared with your friends via social networks include WhatsApp, Facebook, Twitter, Gmail, WeChat, Line, E-mail, SMS and so on. All your scanned result will be included in the scan history and sorted by category. You can delete the scan results. And these scan results can also be exported as a CVS file. QR reader support to scan multiple formats for QR code and bar code such as: EQS, QR Code, Data Matrix, Quick Code, EAN8, Code39 and Code128. So, what are you waiting for? 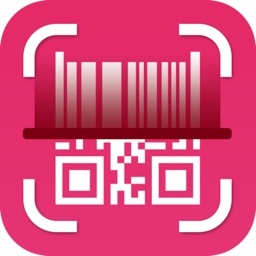 Download QR reader to scan QR code and barcode! Price: Free for 3 days, then $3.99/Week after free trial. You can choose to pay 80% less than Weekly payments —— Annual Subscription, $39.99 per year.